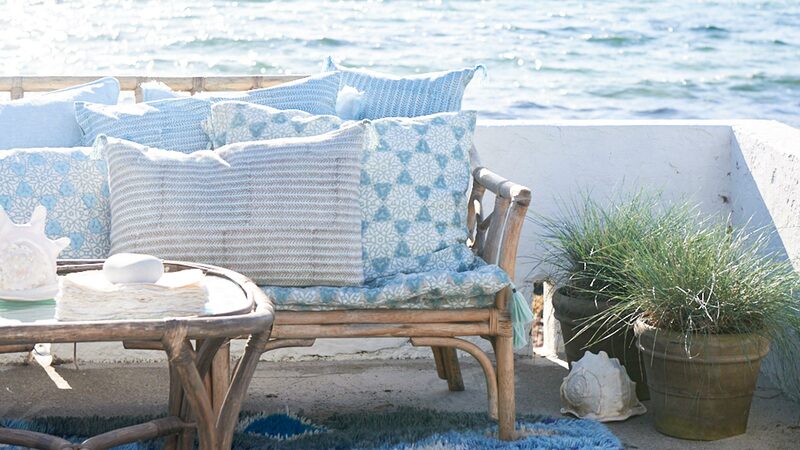 Inspired by our bright summers in Sweden and India’s fine mysticism of patterns, I have created Breeze. 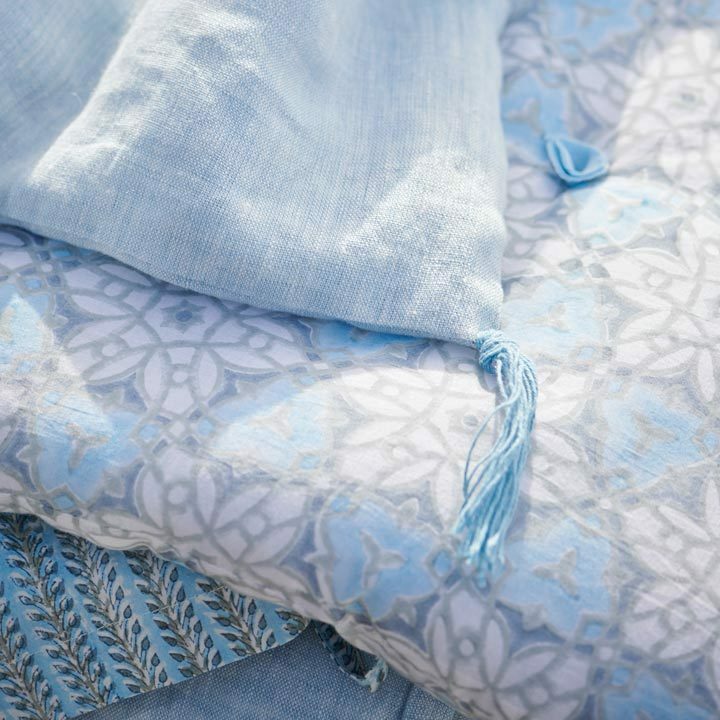 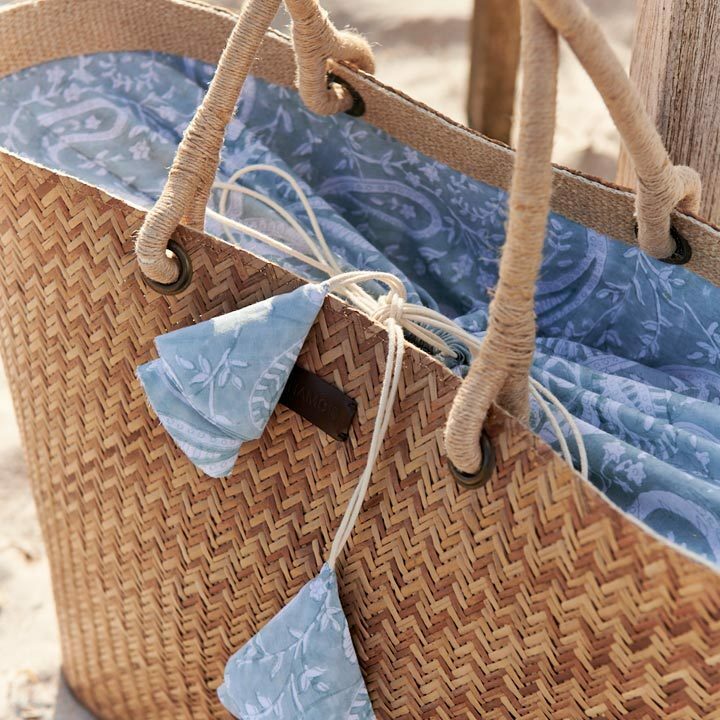 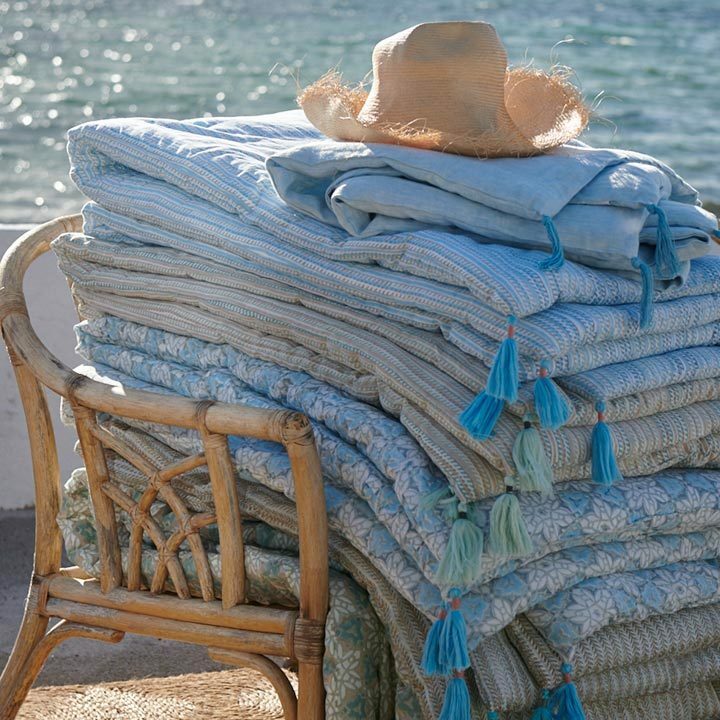 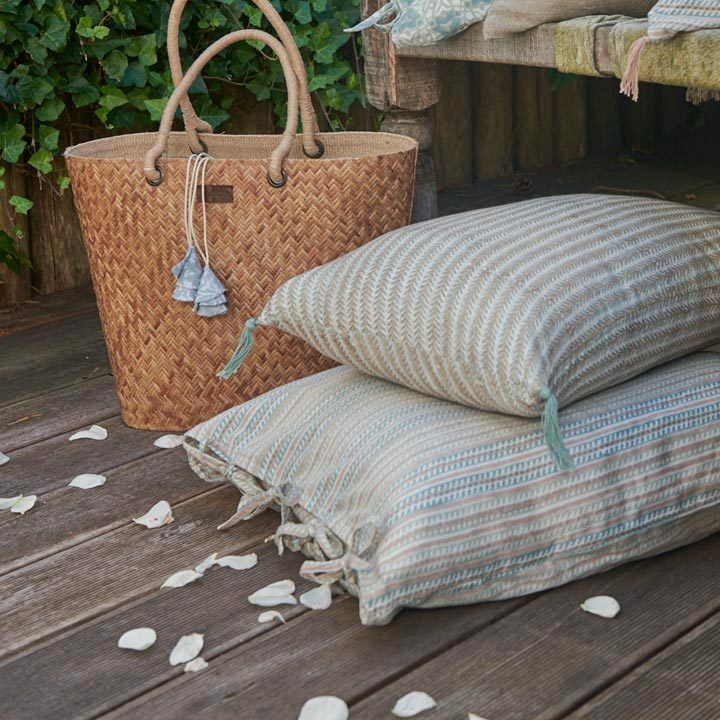 A brand new collection of bed linen in a high soft quality of cotton hand printed in carefully selected patterns and as always attention to details. 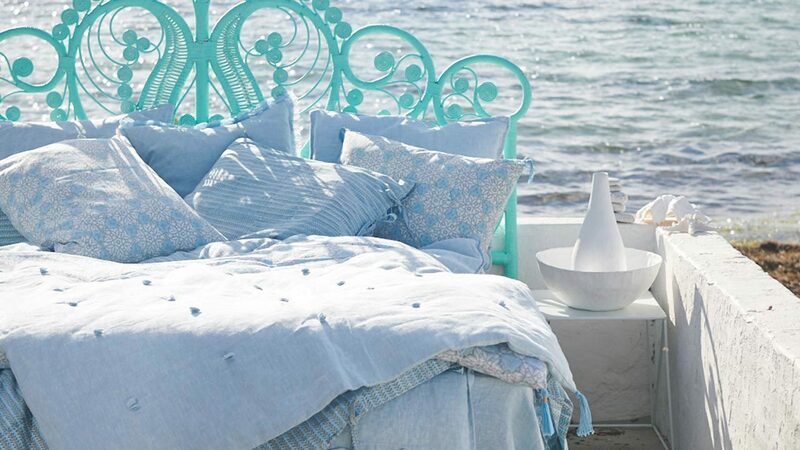 A beautiful line of bed linen in ice blue shades, beige and dull green to inspire to a good night sleep. 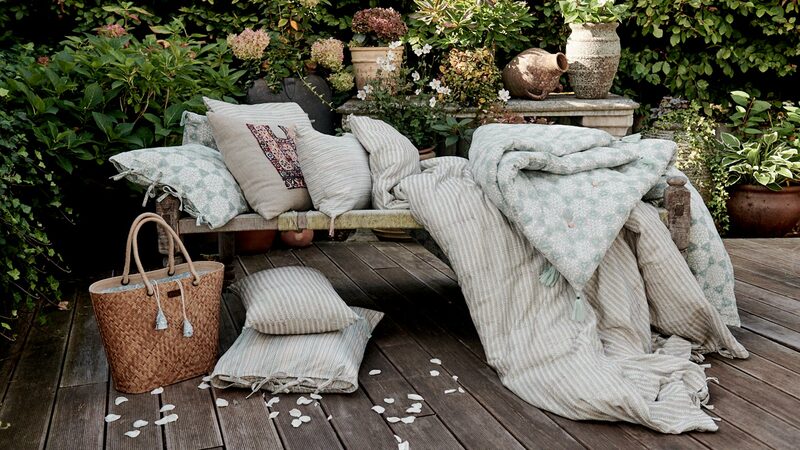 Mix and match your chosen bed linen with decorative pillows and quilted bed throws. 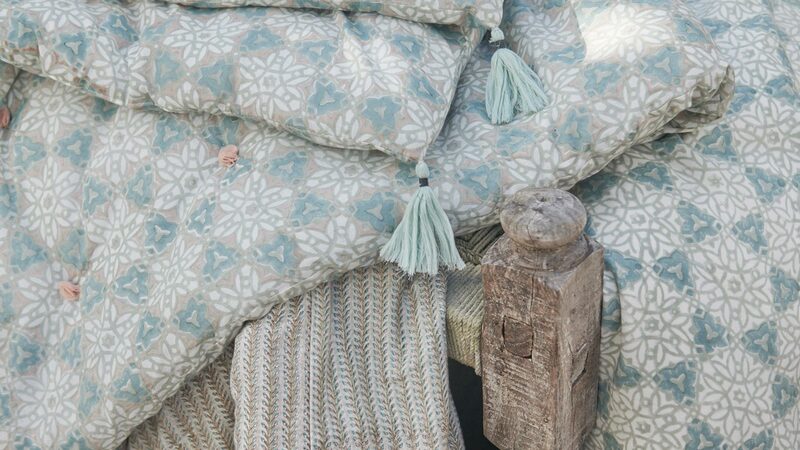 Soft and fluffy quilted bed throws in the size 110x180 cm with beautiful tassels and roses as details. 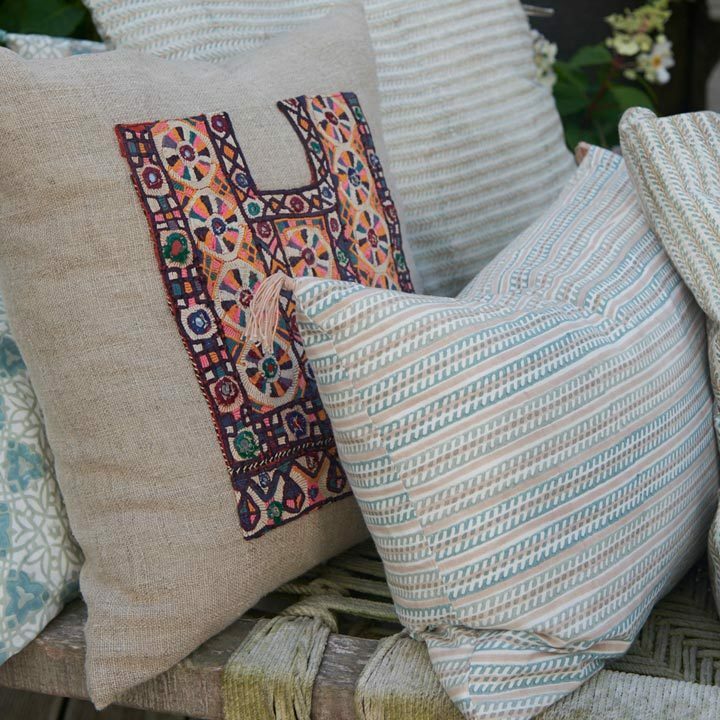 Hand block printed patterns - City Palace with stars, a retro Stripe pattern and an elegant Leaf pattern and as always great for mixing and matching.